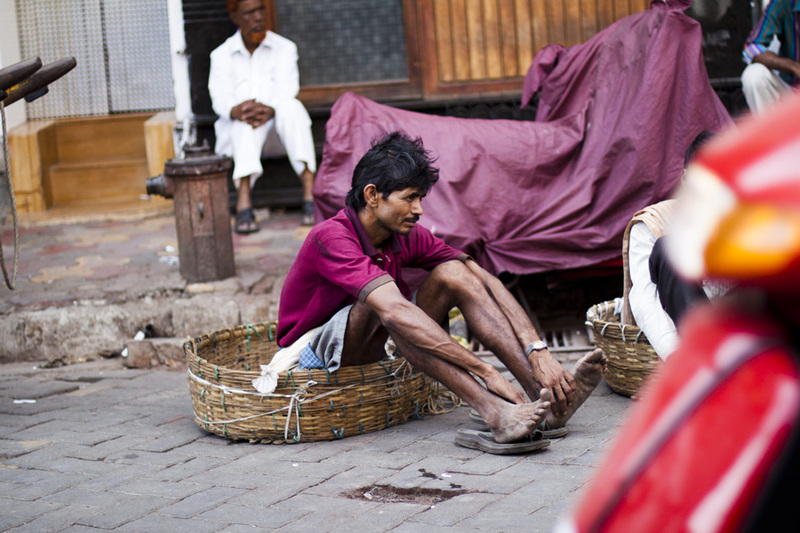 Some free lance porters who carry goods in the basket that they are sitting in over their heads for money. 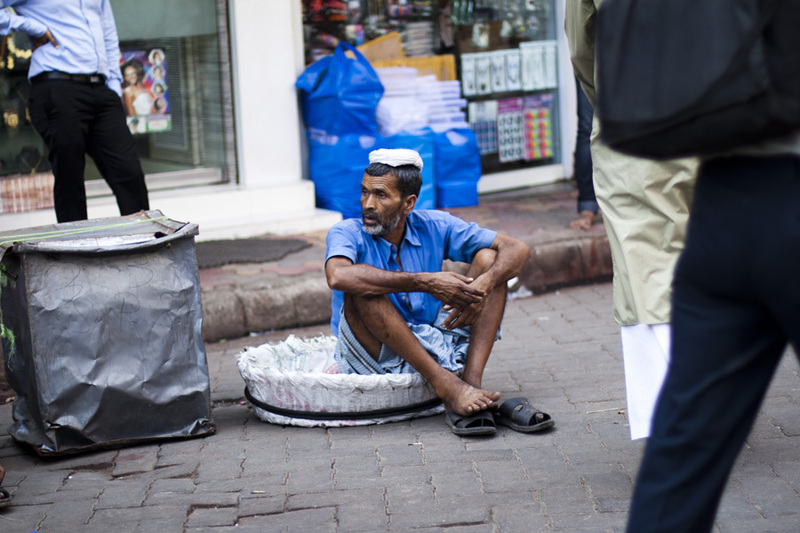 They work really hard all day scanning through the over crowded streets of Mumbai to delivery things from one place to another. So when they do get a moment to rest in between jobs, they use their baskets as their seats while waiting for the next merchant to come along and hire them. Just sharing some scenes from my trip to India. such a new vision on india! love this country and also this reality check!